1. When did you first discover that you wanted to be a jewellery designer ? I would have to say during the course of my CCW foundation, where I was inspired by art & design in every way, from the research to the idea development. 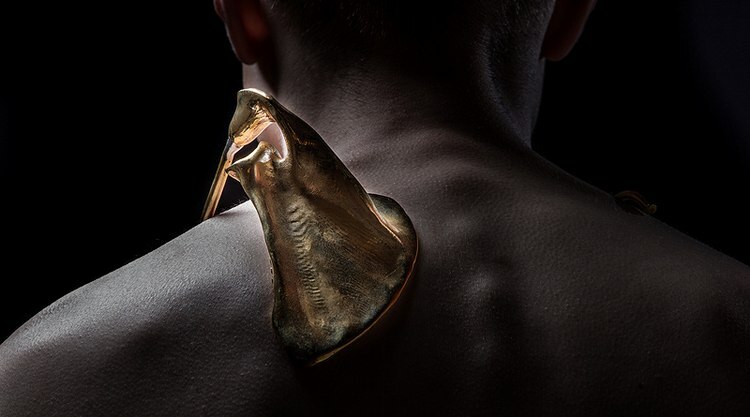 I am influenced by a book which I have read called New Directions In Jewellery where I came to discover designers who are pushing the boundaries of traditional jewellery design. One of the articles in this book by Caroline Broadhead, entitled 'A PART/ APART' encouraged me to look deeply into ideas of supporting and extending the body. 2. What does jewellery mean to you ? I am eager to explore different materials, skills and modes to challenge boundaries of what defines jewellery. 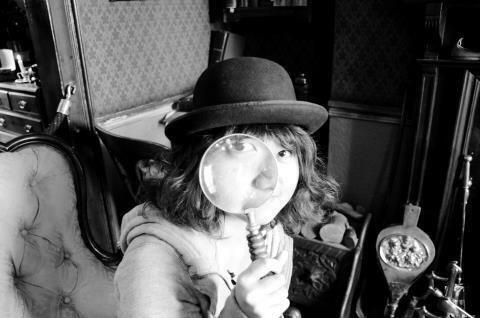 I always get a lot of inspiration from investigating people. I am interested in focusing on the relationship between body, object and the absence of an object. 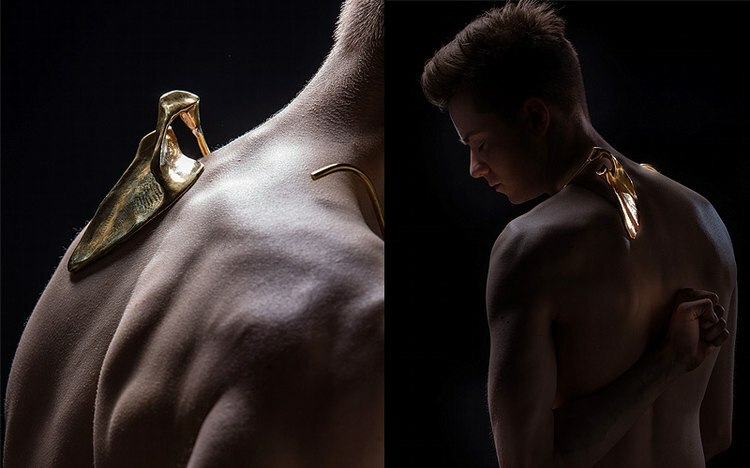 For me, jewellery design can be a new way to explore new methods of relating awareness of the body and emotion.
" I am interested in focusing on the relationship between body, object and the absence of an object. 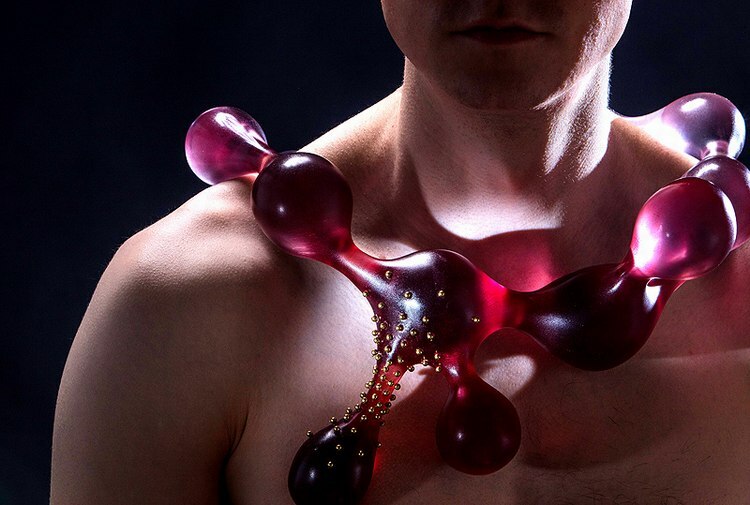 For me, jewellery design can be a new way to explore new methods of relating awareness of the body and emotion. " 3. For your final major project, you explored psychosocial adjustment problems among people with acquired disabilities. How did you come to be fascinated by this and how does that translate in your collection ? My aunt had polio as a child and spent the rest of her life in a wheelchair. She told me it took a long time for her to get used to this impairment and to accept her appearance. That is why I want to explore the feelings of people with acquired disability. In the beginning, I created different textures and asked people what emotion they associated with each one – essentially because I think emotional communication is an organ of the emotional needs of recurrent acts. At the same time, people with and without disability are enabled to have emotional communication through these textures. I analyzed the results of different textures that people associated with each emotion, and used these textures to design my jewellery collection. 4. What materials and techniques do you favor ? While working on my final major project 'Im- Perfect', I became addicted to the process of 3D printing which affect almost every aspect of the industry and our personal lives. Design has already changed. Digital artists are creating magnificent pieces that seem almost impossible to have been made by traditional methods. Every design can be possible through this technology. However, I believe traditional methods and high technologies are not opposite, they could be complementarity. For me, finding their balance could be a trend in the future.
" However, I believe traditional methods and high technologies are not opposite, they could be complementarity. For me, finding their balance could be a trend in the future. " 5. Describe the kind of person you see wearing your jewellery ? I always get a lot of inspiration from human emotion and behavior, because I think jewellery can be a way of communicating emotion between people. I think emotion is a most fundamental and clearest part of what it means to be human, so all of my pieces are unisex jewellery. I think people who love conceptual jewellery and like to challenge the definition of jewellery design could be my target customer.
" I always get a lot of inspiration from human emotion and behavior, because I think jewellery can be a way of communicating emotion between people. I think emotion is a most fundamental and clearest part of what it means to be human, so all of my pieces are unisex jewellery. " 6. Who are your favorite designers ? 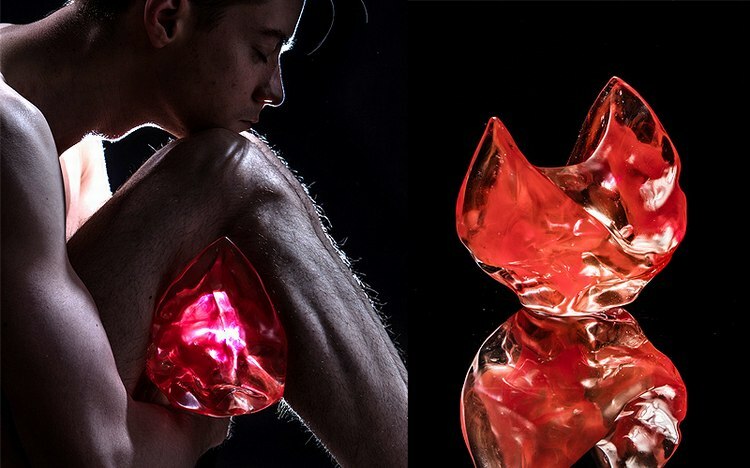 Iris Van Herpen is always my muse, because I like to explore new methods of relating awareness of the body. She stands for mutuality between craftsmanship and innovation in technique and materials. She forces fashion to the extreme contradiction between beauty and regeneration. 7. Tell us your version of a day in the life of an LCF student. You can meet a lot of creative people from different courses in LCF everyday, and you can get a lot of inspiration from them. Tutors always help me to challenge the definition of fashion jewellery, and expand my horizons on fashion jewellery which could be everything relating to awareness of the body, and you can get a lots of inspiration from them. The course is quite intensive, but I really enjoyed it. 8. Do you have any plans to start your own label ? Yes. I want to get more work experience in the fashion industry to learn how to run a studio. After that, I hope I can have my own jewellery studio.